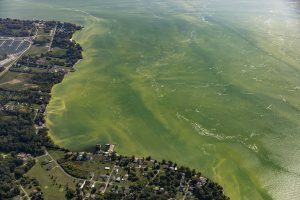 The executive order, which Kasich signed in July, was intended to offer policymakers tools to more closely regulate farmers’ use of fertilizers, considered a primary source of food which feeds the lake’s harmful algal blooms. While the Kasich administration characterized the move as a delay tactic, the agricultural community has embraced the decision to push back the timeline on a vote which could now take place at a Feb. 15 OSWCC meeting – with more input from farmers before the vote. Without the commission’s approval, the executive order wields no true power. In addition to the farm community’s approval of the delay, most policy-makers and others involved with Lake Erie’s future appear to be supportive of the four-month postponement of action. 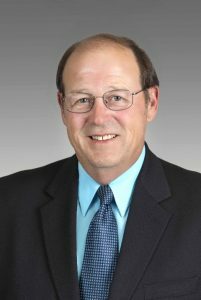 After the director of the Ohio Department of Agriculture (ODA) Dave Daniels publicly expressed concern over Kasich’s order, appearing to side with farmers who oppose it, he was abruptly fired on Oct. 19. 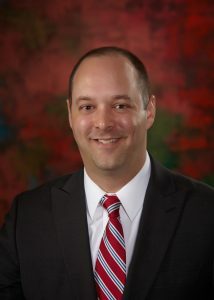 Daniels, who had served in the position since 2012, was replaced on an interim basis by Tim Derickson, who had served as deputy director of the department in a position below Daniels. While the Kasich administration did not provide public details on why Daniels was fired, the former ag director has made it clear in subsequent interviews that he was terminated due to his position on the executive order. And he says he was surprised by the sudden termination. The executive order would declare eight watersheds in northwest Ohio — all of them Lake Erie tributaries – as distressed. 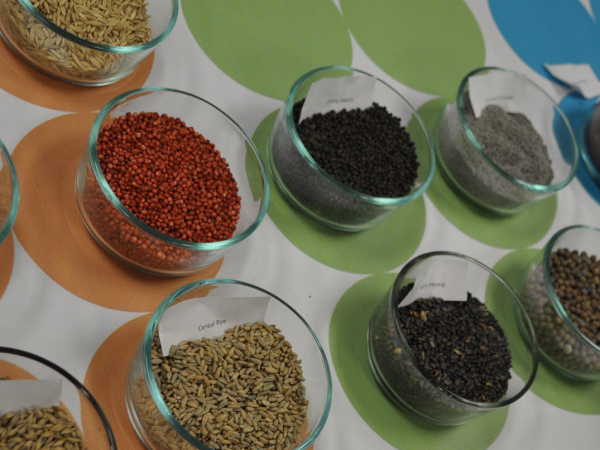 That designation, if approved by the OSWCC, would then become the spearhead forcing farmers to adhere to stricter regulations on fertilizer and nutrient applications on fields. The declaration would affect about 7,000 farms of all sizes and apply to about 2 million acres of land. The designated waters would include the Blanchard, Auglaize, Ottawa and St. Mary’s rivers and the watersheds of Platter Creek, Little Flat Rock Creek, Little Auglaize River and Eagle Creek. Had the OSWCC approved the designations, the Ohio Environmental Protection Agency, ODA and Ohio Department of Natural Resources (ODNR) would be tasked with producing a package of rules and standards which farmers would be required to follow. But, Bihn pointed out, enforcing tighter restrictions on farmers in the distressed watersheds would require meticulous monitoring. And Bihn called into question the current ability of the state to track farmers’ operations adequately, citing both manpower and expense. Bihn says more information is needed to determine what actions are needed in which watersheds. “The Ohio Farm Bureau was appreciative of the commission taking a thoughtful and deliberative approach in looking at the whole issue of watershed distress,” said Jack Irvin, senior director of state and national affairs at the Ohio Farm Bureau Federation. He said he could not speculate on what the commission would do in the future. “I think one of the major things is the lack of resources to help farmers implement at the local level, developing and writing nutrient management plans,” Irvin said, citing farms in the Grand Lake St. Marys’ watershed. With about 140 farms on around 50,000 acres, St. Marys is often looked at as a watershed with problems similar to Lake Erie’s. “For this particular proposal, the estimates are roughly 7,000 farms and 1.5 to 2 million acres.” The possible rules simply haven’t been made clear, and the resources to make the rules work and to ensure farmers are in compliance aren’t in place, according to Irvin. In short, says Irvin, there are simply too many unknowns to make a distressed watershed designation. Irvin said Governor-elect Mike DeWine has been open about a dialogue with stakeholders across the state regarding ag and algae, and he says he welcomes having those discussions with DeWine and staff in the future. “Regardless of what the outcome might be, our farmers will continue to be focused on implementing actions and focused on being a part of the solution,” Irvin said. 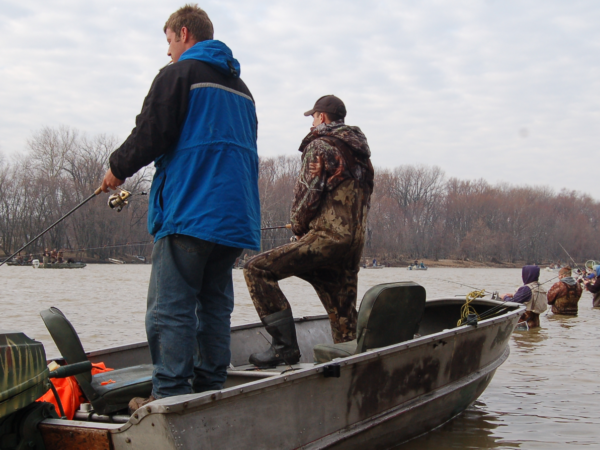 In west-central Ohio, Grand Lake St. Marys suffered a serious clash between agriculture interests and lake interests a decade ago and is still recovering. Its case in some ways mirrors Lake Erie: too many nutrients — mostly agricultural in origin — in the water. End result: serious algae overload including threats to drinking water, tourism and recreation. While St. Marys’ distressed designation has been in place for nearly a decade, the results have been slow to arrive, explained Rentz. He cited what’s often called legacy nutrients – nitrogen and phosphorous located in sediments that could be decades old. While Rentz said he believes Kasich’s executive order intends well, and that he’s glad it included chemical fertilizer, he has reservations. 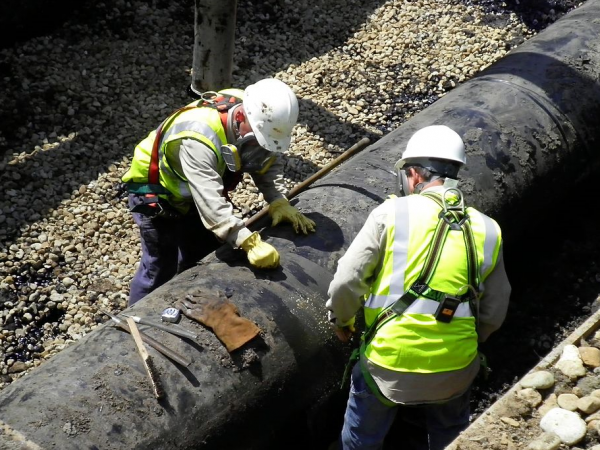 “I think their approach is a deliberate approach, which it should be,” said Ohio 89th Dist. 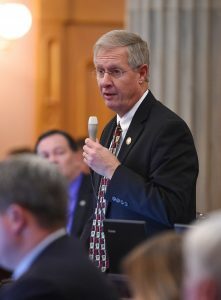 Rep. Steve Arndt, who characterized Kasich’s order as “knee-jerk.” Arndt cited a 2017 scientific publication featuring all the major scientific players in the arena, which laid out specific issues and more importantly, specific actions needed to reduce nutrient loading by 40 percent in just a handful of years. 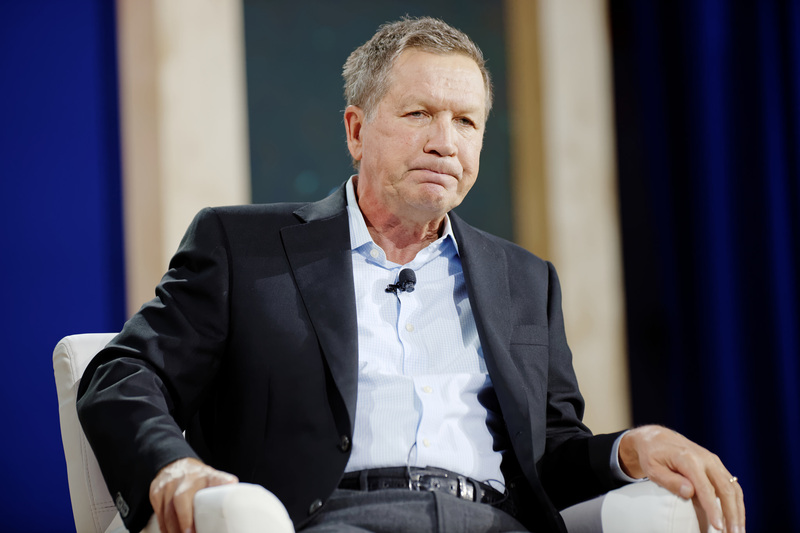 And that paper included just five watersheds in northwest Ohio – not the eight which Kasich’s order listed — an issue Arndt indicated was important. He said some of the watersheds move into and out of the excessive nutrient-loading maps, based on rainfall events, and shouldn’t necessarily be included in the declaration. He cited filter strips, native grasses, raised outlets and cover crops as efforts that affect nutrient flow into the watersheds. And despite a last-minute plea by Derickson, urging OSWCC members to vote in favor of Kasich’s order, they voted 4-3 to delay action, referring it instead to a subcommittee for further study. At an hour-long public hearing at the ODA in Reynoldsburg last week, all but one party testified against Kasich’s request. In the end, not everyone will be happy, according to Rentz. “It’s contentious at first,” he said. “It’s all about conversations, not shouting matches.” And of course, Rentz knows all about agriculture and water. His advice to those in northwest Ohio working on the algae issue is fairly simple.